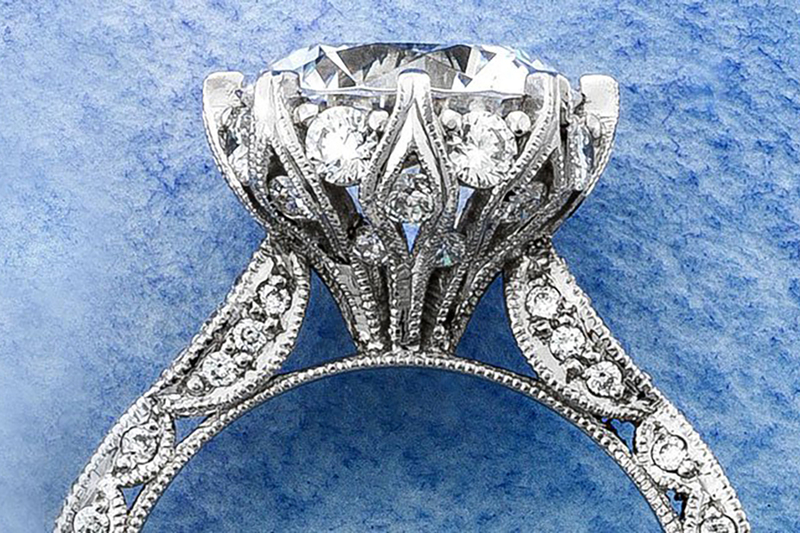 In partnership with our friends at Who What Wear, we’re sharing five modern wedding ring pairings we love—from clashing metal colors to unique shapes – all with totally timeless wedding bands from Tacori that you’re sure to love. In the spirit of breaking rules, why not stack two (or more!) bands together? 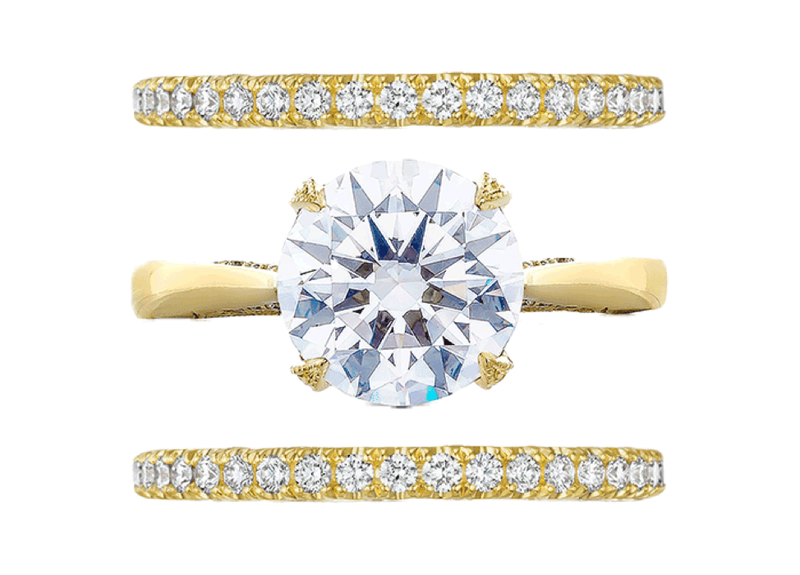 Whether you simply can’t decide on just one wedding band or you want to give that family heirloom an updated twist, mixing and matching multiple bands creates a chic modern look. 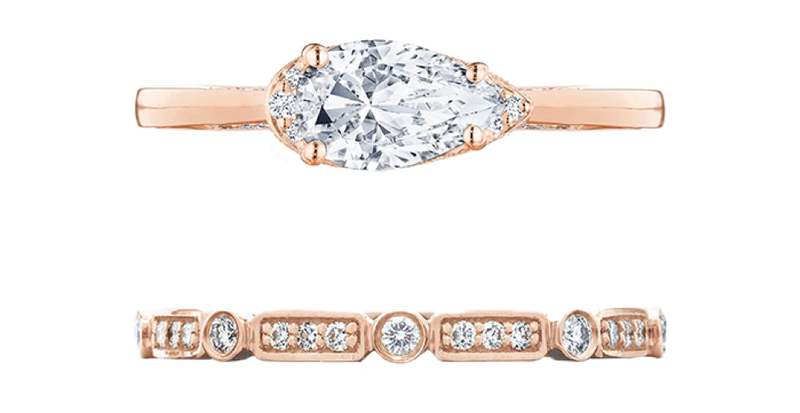 This rose gold set is especially enviable if we do say so ourselves. Speaking of stacking multiple bands, another fashion-girl way to achieve the look is to layer two of the same wedding bands with your engagement ring. 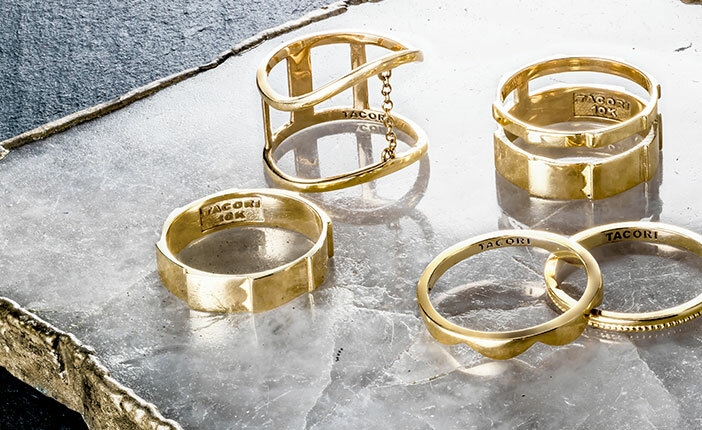 Stack the twin styles together to create a thicker-looking band, or sandwich your engagement ring in between, as demonstrated with these simple gold finds. Either way, with more bling involved, you really can't go wrong. 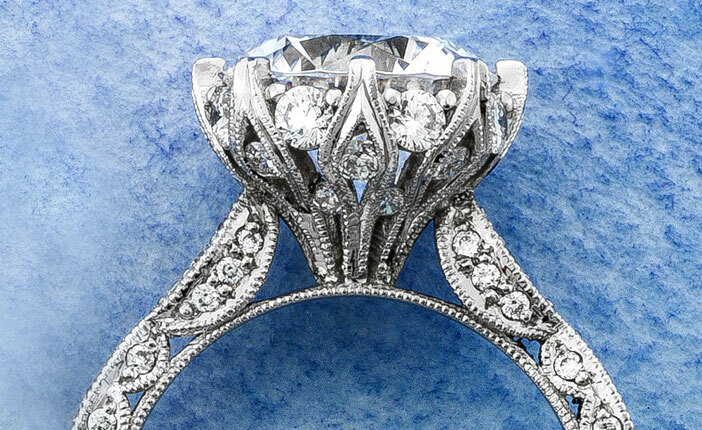 Modern brides are on the lookout for a truly unique ring style. 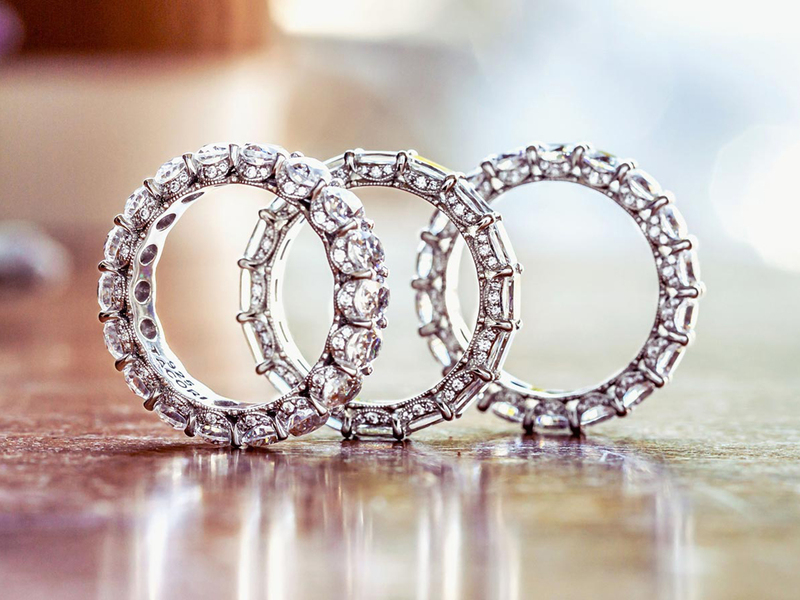 One of our favorite ways to stand out from the crowd is stacking rings together with interesting diamond cuts that are both elegant and unexpected. 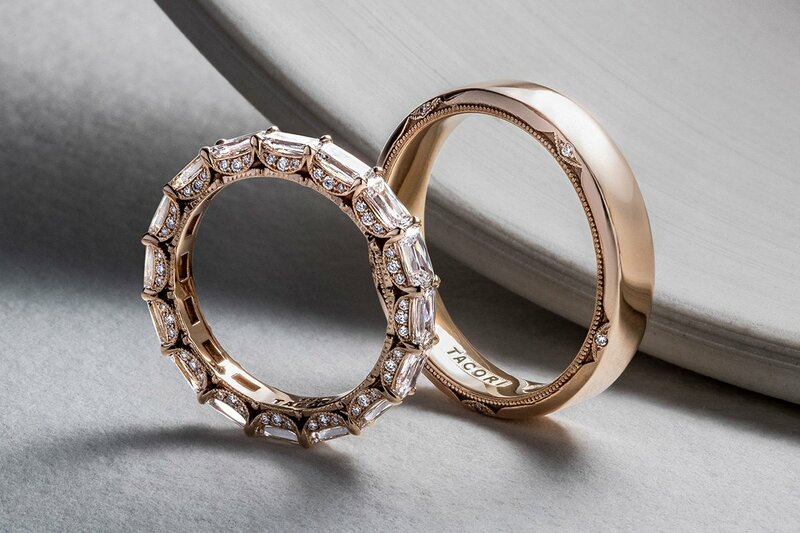 Tacori makes it easy with ring options featuring pear-, marquise-, and oval-shaped diamonds turned on their sides for a spin on the classic elongated look. As far as we’re concerned, clashing metals hasn’t been a faux pas in at least a decade, and complementary designs that mix metal colors are a great option for a creative engagement and wedding ring pairing. 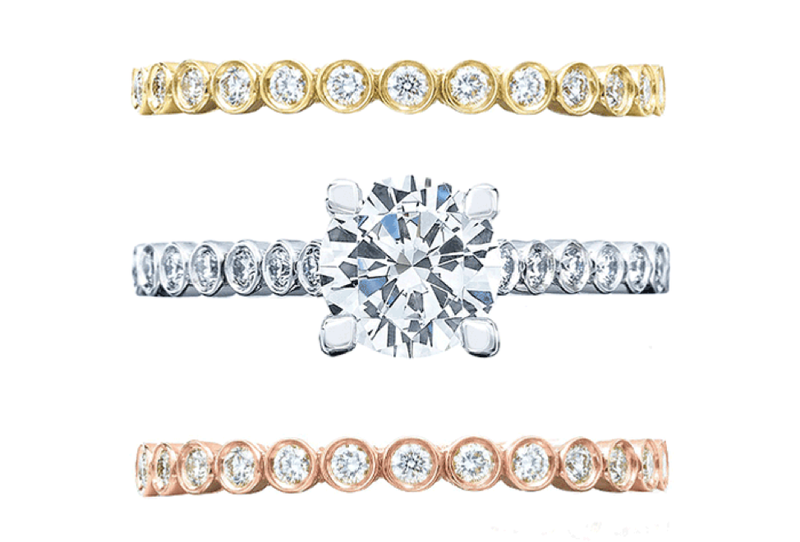 Just make sure to pick different colors of the same material—like rose gold, white gold, and yellow gold—because non-alike metals will scratch when stacked together. The best part about this look is that any other day-to-day jewelry you wear will effortlessly tie in with your rings. 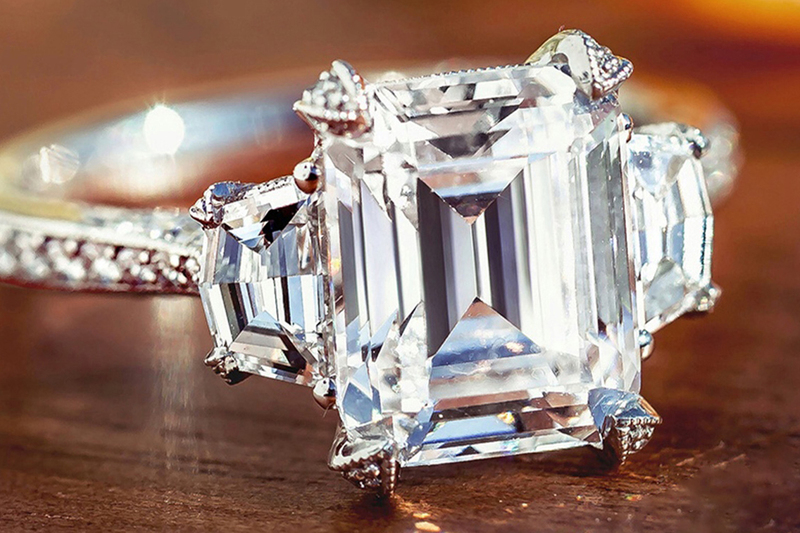 If you have a classic taste but still want something a little less obvious, the answer lies in the diamond cut. Once you select the cut of the center stone (like this stunning emerald shape) for your engagement ring, use the same one for the diamonds around your wedding band. 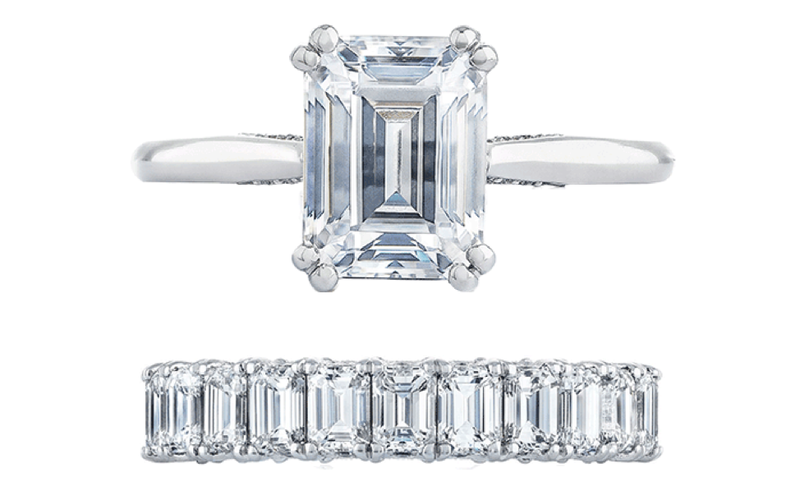 This polished look is elegant and timeless—a match made in ring-stacking heaven. Let us know which look you love! Leave a comment below, or share the love by sending this article to someone who needs to see this!